The first amateur radio license course of 2019 is about to start. This year, we are extending the course to five evenings to get a better chance to cover more content. Specifically, we will spend more time educating attendees on the operational side of amateur radio, so that their way to the ether will (hopefully) be a little less daunting. As an amateur radio operator, you will learn a lot about radio communication, electronics, propagation mechanics and much more. You can even build your own electric circuits that allow you to communicate with other amateurs from all over the world. An amateur radio license is required to participate in the amateur radio hobby. 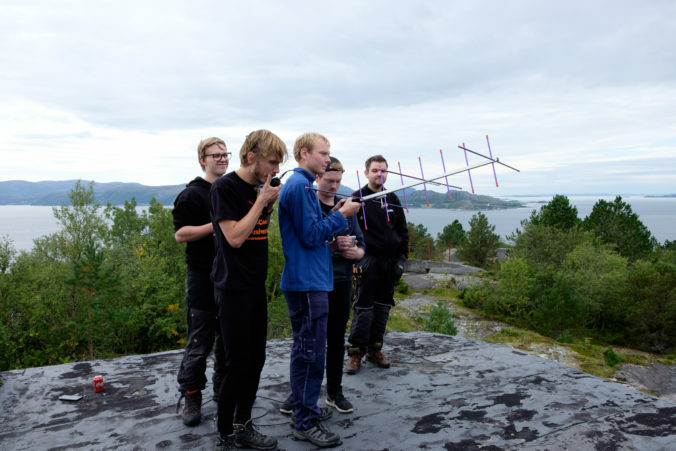 With the amateur radio license you get access to a large amount of frequencies, which is what allows us to perform this hobby. The course is open to anyone, and will consist of five lectures followed by an exam. Each lecture is approximately two hours long. The course is offered in English or Norwegian, depending on the attendees. The course is free, but if you pass the exam there is a license fee of 2000 NOK to the national communications authority (NKOM). The exam is only available in Norwegian. You may bring a dictionary if you are not proficient in written Norwegian. The curriculum for the course is “Veien til internasjonal amatørradiolisens”, which can be purchased here. A mazemap link to the rooms can be found by clicking F3 or F4 in the table above. If you already know that you are interested in amateur radio, ARK is a great place to be. Have a look at our recruitment page if this interests you. A license is not required to apply, but we encourage new members to get licensed as soon as possible, so that they are able to partake in all that the club has to offer. Feel free to show up for the first lecture if you would like to learn more about this hobby, and why it is fun.